[PDF] Internet Marketing: Strategy, Implementation and Practice (3rd Edition) | Free eBooks Download - EBOOKEE! Posted on 2017-12-07, by luongquocchinh. 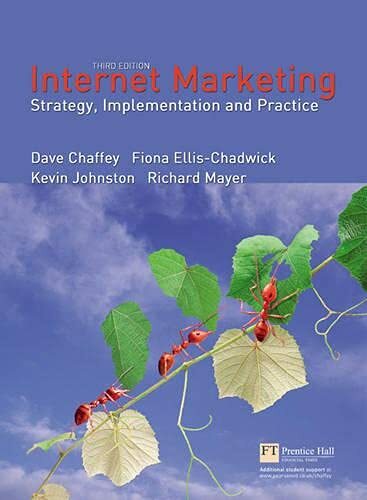 Description: This book is a comprehensive guide to how organizations can use the internet to support their marketing activities and covers all aspects of Internet marketing - environment analysis, strategy development and implementation. No comments for "[PDF] Internet Marketing: Strategy, Implementation and Practice (3rd Edition)".